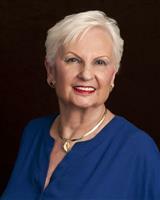 ONE of only 26 Realtors in all of Brevard County with over 40 years of service that has received the REALTOR Emeritus designation. YOUR Certified Residential Specialist (CRS) & Greater Realtors Institute (GRI) Real Estate Expert who has access to ALL properties listed in Brevard County's MLS System. Serving the following areas of Brevard County, Florida, the Communities of Melbourne, The Beaches, Suntree, Viera, Rockledge, Canova Beach, Cape Canaveral, Cocoa, Cocoa Beach, Eau Gallie, Floridana Beach, Grant, Grant-Valkaria, Indialantic, Indian Harbour Beach, Malabar, North Melbourne, Melbourne Beach, Melbourne Village, Merritt Island, Micco, NE; NW; SE; SW areas of Palm Bay, Palm Shores, Rockledge, Satellite Beach (City), Sebastian, South Cocoa Beach, South Patrick, Valkaria, West Melbourne. Residential, Rentals (Landlord/Tenant), Income Properties, Vacant Land, Condos/Townhomes, 1031 Exchanges, and Some Commercial. The Brevard County area includes Melbourne and other southern communities such as West Melbourne, and Melbourne Village in central Brevard up to Cocoa Beach in the north and South Beach towards the south. And it also includes a half dozen beach communities on one long, fabulous barrier island including Indialantic, Satellite Beach, and Melbourne Beach. Melbourne, FL Real Estate and Brevard County homes are presently some of the lowest of priced homes in the area. Historically, the Melbourne area is the oldest and best-known community on what is known as the "Space Coast". Melbourne is right in heart of a long north-south coastal stretch of Brevard County, that is between the St. Johns River Basin and the Atlantic Ocean. Melbourne is a technological center and thus a strong an employment creator plus has a remarkable cost of living standard. The result is that Melbourne, FL homes andBrevard County Real Estate are very desirable. When you approach the Ocean over the high bridge across the Indian River, your view is wide; it is not blocked by condos and hotels, thanks to strict rules enacted well before the current brisk growth and development. For one thing, there are limits on how many stories a building or domicile can be, unlike what you find through much of Southern Florida. I will bring to you an abundance of knowledge on the communities, schools, market conditions, zoning laws and local economy of Brevard County Florida. That means you'll be provided all the additional information you need in the Melbourne, Florida area. I also do my best to save you money thanks to my connections throughout the mortgage industry. That way you get the best deal possible on Melbourne, Florida Real Estate. Plus, with our agency you'll be kept current of new listings and conditions as they influence your search for homes or condos. Since I'm a full-time real estate agent you'll feel comfortable that your interest as a real estate buyer, seller, renter or investor are protected. If you plan on buying or selling Melbourne, Florida Real Estate, or any property in Brevard County, look to Hope Turner, Broker Consultant, CRS GRI.